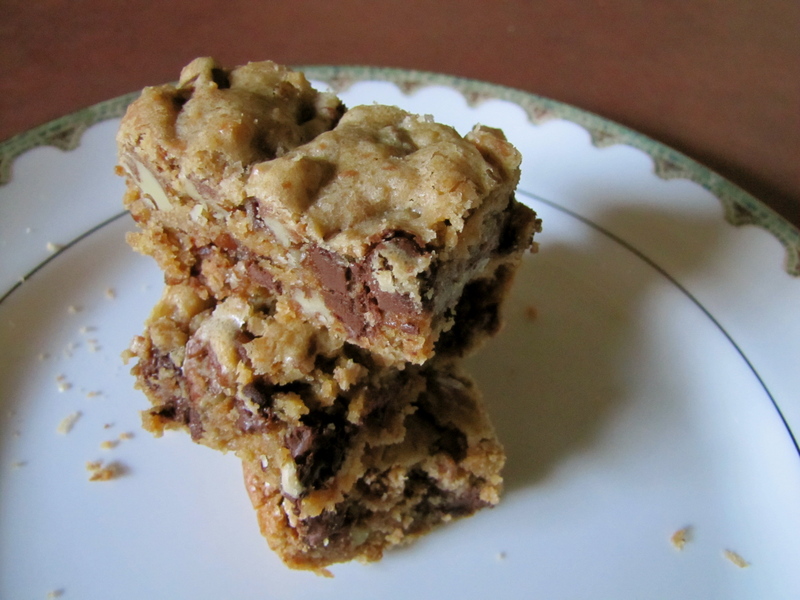 These are the best blondies I’ve ever made (up to this point). They’re more than just blondies + coconut. They have a depth of flavor I haven’t tasted before. Maybe y’all have had congo bars before, so please excuse my gushing as I lavish praise upon these delights. There are 1,000,000,000+ recipes for blondies and all their variations. At the moment, I’m happy with this one recipe. I know I’ll experiment again in the future, but there’s something so satisfying about have one recipe, tried and true, that you know will work and be scrumptious everytime. Preheat oven to 350. Line 13×9 glass baking dish with parchment paper. 2. Whisk melted butter and brown sugar together in large bowl. Add eggs and vanilla and mix well. 3. Fold dry ingredients into egg mixture until just combined. Fold in chocolate chips, toasted coconut and pecans. Pour batter into prepared pan. 4. Bake until top is shiny and cracked and feels firms to the touch, 20-24 minutes. Emily’s Congo bars are so extremely awesome that they were gone in seconds. Thank you for sharing your talents and increasing my waist-line!